Another thing that makes me happy is starting to think about fall dinners. I love the braising and stewing and the simmering of heavy, warm spices on the stove. 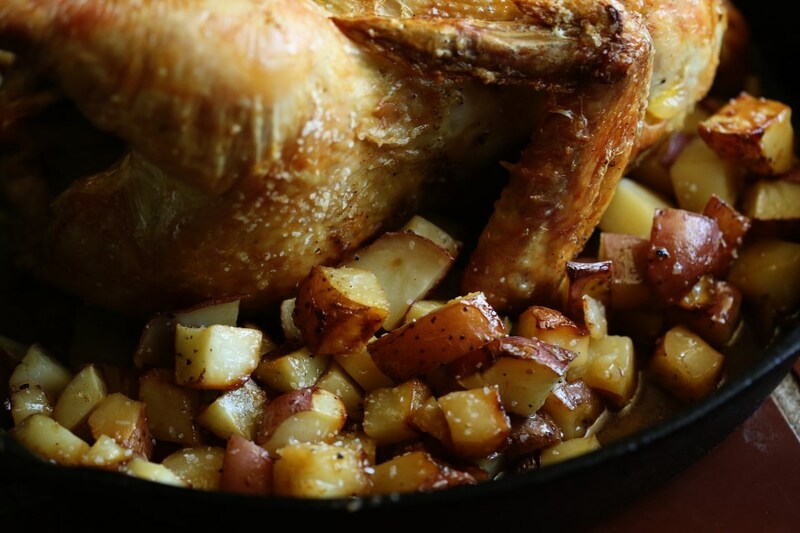 One meal that gets me to thinking about the warmth of the winter is this simple and yet divine dish: roasted chicken on top of potatoes. We made this recipe a loooong time ago by Jean-Georges Vongerichten. 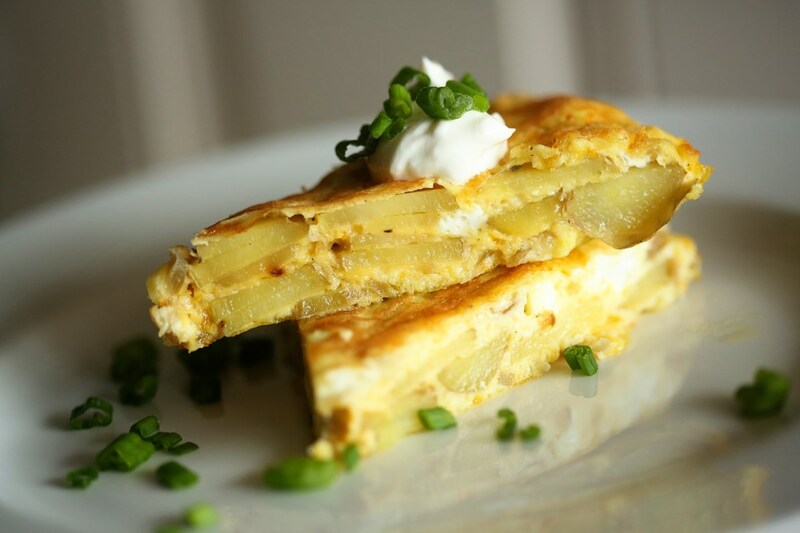 His recipe was so delicious, we’ve done it a few dozen times since and have varied and simplified and it’s always delicious and always perfect. I never mess this recipe up and it’s always so amazingly delicious. 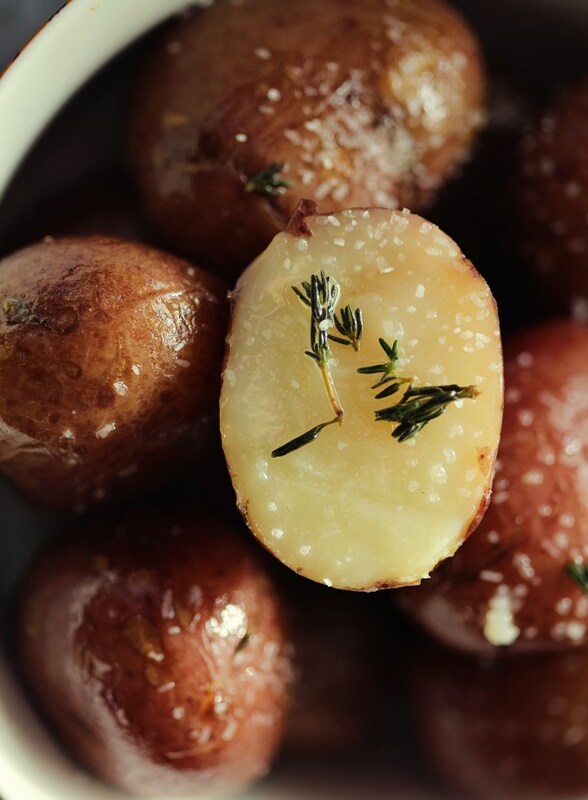 And let’s not ignore why: the potatoes are cooked in schmaltz. You’d also be delicious if you were roasted in chicken fat. I also love this recipe because it is one of those dishes that everyone can agree on. Add a salad or some braised greens and you’ve got yourself a complete meal! Preheat oven to 450 degrees. 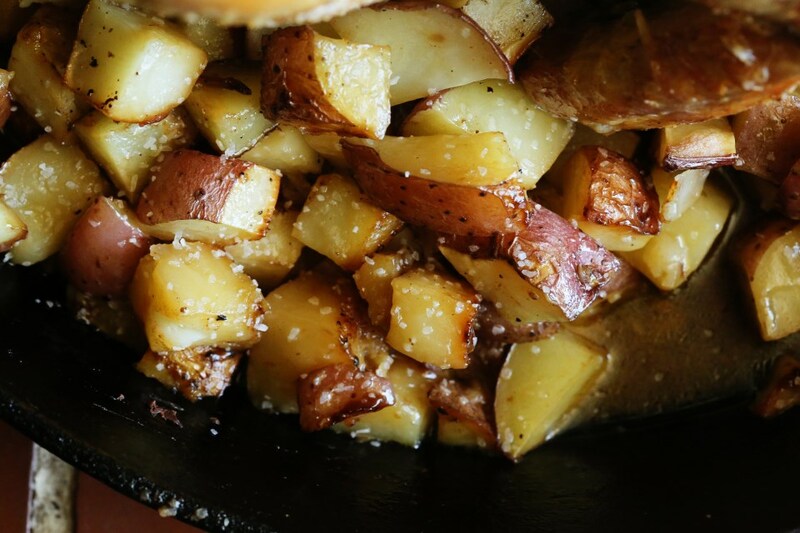 Butter a large cast iron skillet and place the cut potatoes in a single layer. Sprinkle them with salt and pepper and drizzle with olive oil. Pat your chicken dry and season with salt and pepper. Rub with butter and then stick the halved garlic head into the chicken cavity and add whatever herbs you like. Place the chicken on one of its sides on top of the potatoes. Roast for 20 minutes. Turn the chicken onto its other side and roast another 20. Then, turn the chicken breast-side up and continue roasting until juices run clear and an instant-read thermometer says at least 165F, about 15-20 minutes more. 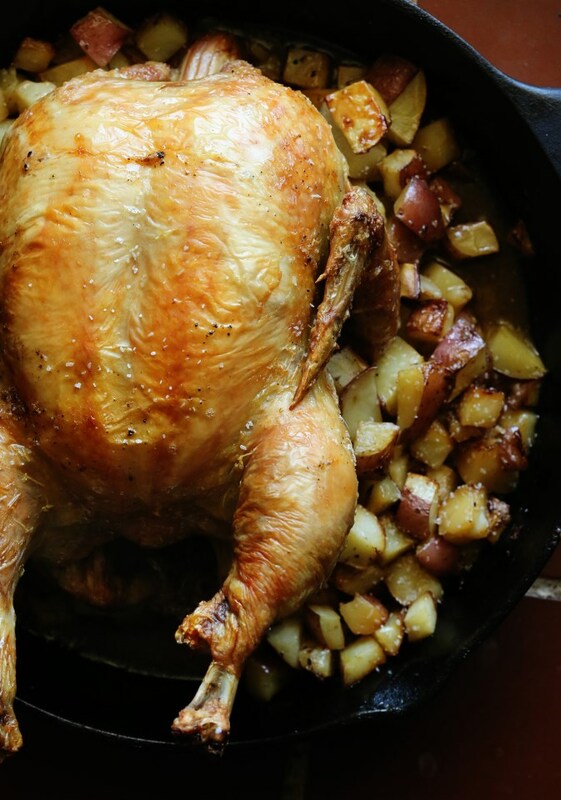 Let the chicken rest for 10 minutes and carve on top of the potatoes and serve them along with the chicken. Beautiful. Dark chocolate and cherry – a pretty perfect desert combination. I regularly make dark chocolate oatmeal for Olive and myself and I will stir in dried cherries almost every time. There’s just something special about the tart zinginess of the cherries combined with the rich, deep earthy heft of dark chocolate. I’m just full of adjectives tonight. This baking project was a fun one – Olive and I were watching Tangled on a Sunday afternoon and I decided to bake something fun. A while back, Joy the Baker had this really fun baking competition and one of the challenges were these amazing apple pie biscuits. I remembered the recipe seeming like it wouldn’t work because it was too sloppy and wet, but they turned out incredible. (And there’s wonderful step-by-step instructions for how to do her biscuits, which you can apply to this recipe as well.) 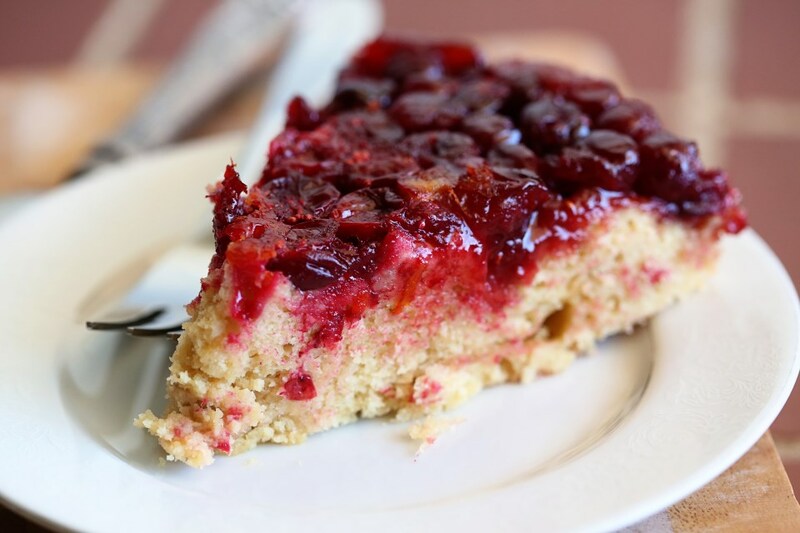 Fast forward to my version of this recipe and I felt the same way all over again – that there would be too much juice from the cherries for this recipe to work the same. And honestly, there was a bit more juice than with the apple version, but nothing a little draining didn’t fix. 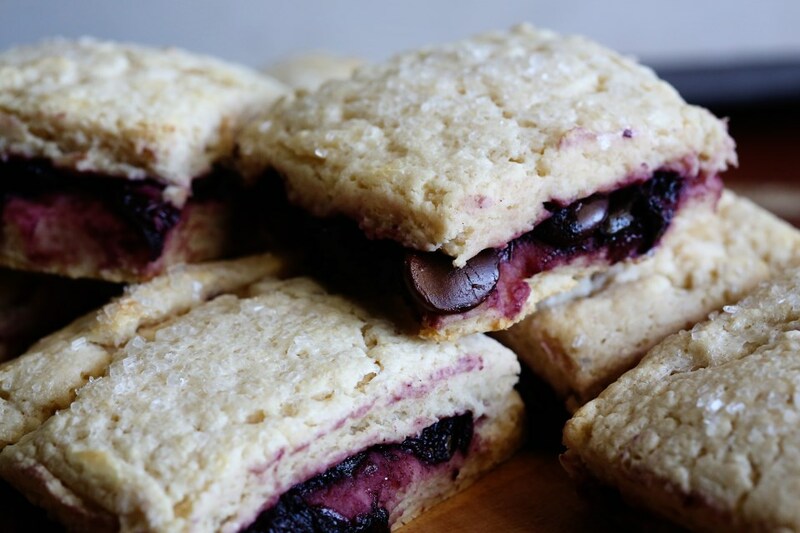 These were fun, decadent and great for breakfast during the week! They also look so white because I had recently bought expensive, pasture-raised eggs made by chickens with PhDs and I didn’t want to waste one on making an egg wash for a few biscuits. So I brushed them with heavy cream. Not as pretty, but it saved an egg from not getting to fulfill its destiny of becoming a fried egg on my toast the next morning. Preheat your oven to 425F. Line a baking sheet with parchment and set aside. 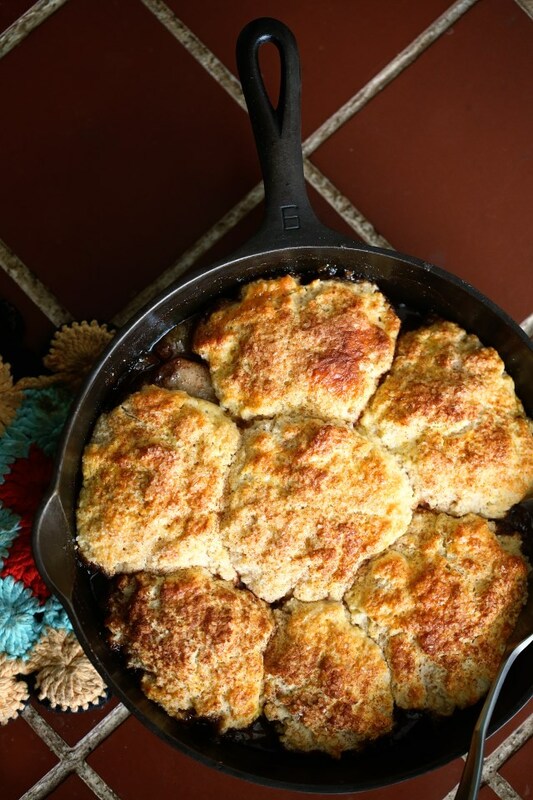 In a skillet over medium heat, melt the butter and brown sugar until they are all incorporated and bubbling and then stir in the cherries. Mash them around (I use a drink muddler) and let the mixture cook for about 5 minutes. Stir in the extract and a squeeze of half a lemon and add a pinch of salt. Stir around and let it cook for one more minute. Drain off all but about 2-3 tablespoons of liquid (cherries give off more liquid than the original recipe’s apples, but you don’t want NO juice) and set the mixture aside to cool while you make the dough. To make the dough, mix the flour and butter together with your hands or a pastry blender until the butter is broken up into small pea-sized bits. Stir in the sugar and then make a well in the center of your dough. Add the buttermilk and with a fork, stir together until combined. The dough should be soft and moist, so use a bit more buttermilk if needed. Use all-purpose flour to dust your work surface. I ignored this step in the original recipe and the bottoms of my biscuits tasted sour because they were in dusted with self-rising and there’s baking powder in self-rising flour so DON’T BE LAZY LIKE ME and just get out the all purpose to dust. It isn’t that difficult. Bake for 12-14 minutes, or until golden brown and serve right away. The sugar topping will melt if you store these in a plastic bag on your counter throughout the week, so it’s best to eat these the same day or store in an air-tight container. …but if you have a three year old who has a bit of an opinion about dinner, then you can’t serve these alone because then she’ll ask, “Where’s the rest of the meal?” She’s been asking me that for about a year, now. Where she even got that phrase, I’ll never know. But it’s pretty intimidating. In a large pot, submerge potatoes and salt the water generously. Bring to a boil and boil until soft when pierce with a knife. This took me around 15 minutes. Drain the potatoes and transfer into a large bowl. In a small sauce pan, melt the butter over medium heat, and add the thyme sprigs and cook till the foaming subsides. When brown butter solids start forming at the bottom of the pan and the butter smells nutty, immediately remove from the heat and add the thyme leaves. Swirl around and then pour over the potatoes, tossing to coat evenly. 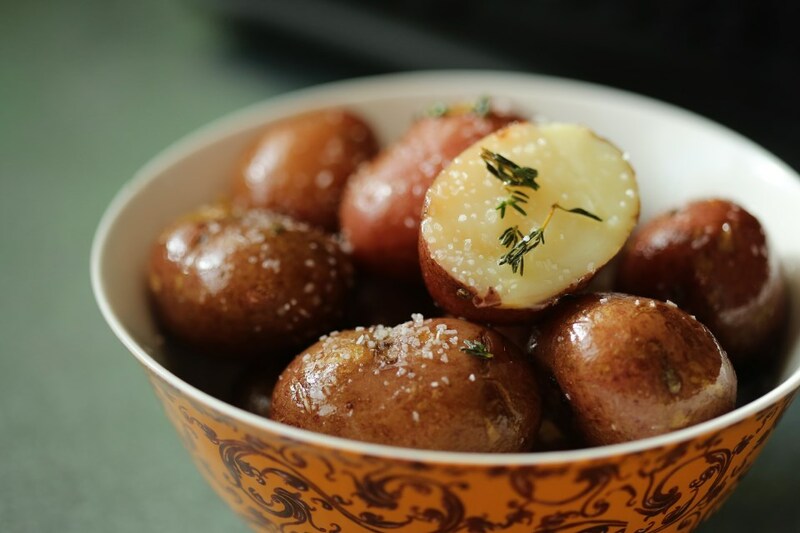 Sprinkle the potatoes with kosher salt and serve. 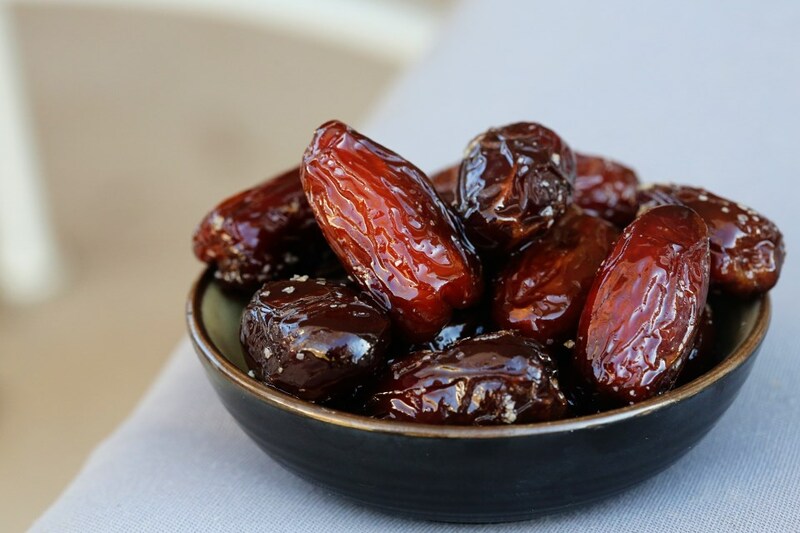 These warmed dates are in that book – just a simple appetizer that are completely satisfying. 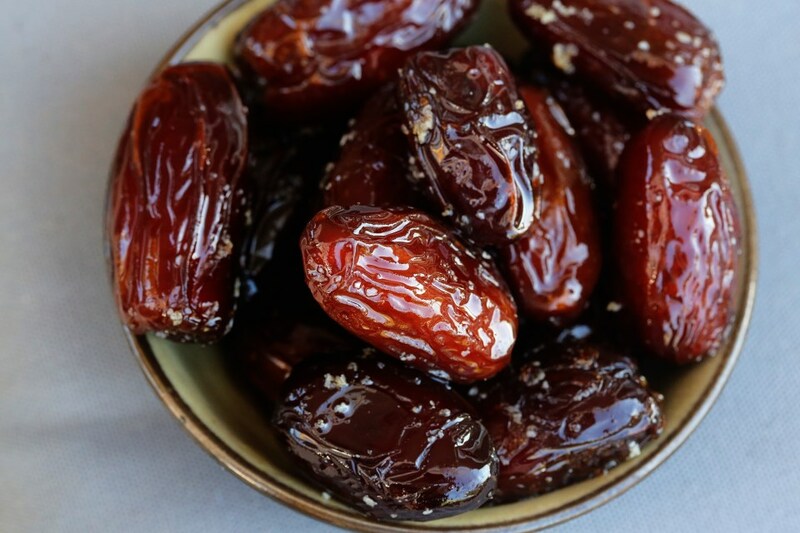 I could honestly have these dates with a slice of Matt’s bread and be totally happy for dinner. It seems weird and too simple, but it just works. 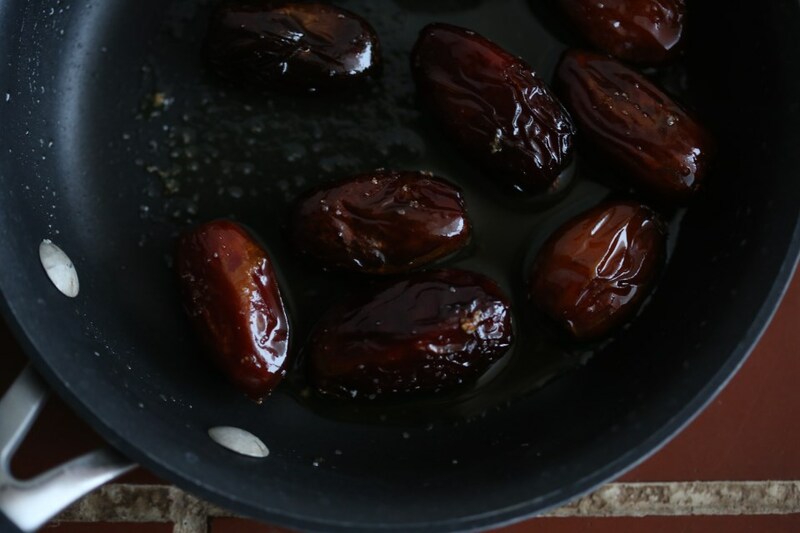 Simply heat fresh dates on the stove in some good olive oil until they are slightly sizzling. Then, sprinkle with kosher salt and serve warm. Amazing and easy and spiffs up your dinner in about 15 seconds. Also, our opinionated three year old loves them. Here’s a wonderful recipe I’ve done countless ways over the past few months and it’s delicious every time. Quick, easy and amazingly fluffy on the inside while being crispy on the outside – these scones are an amazing way to make breakfast better. 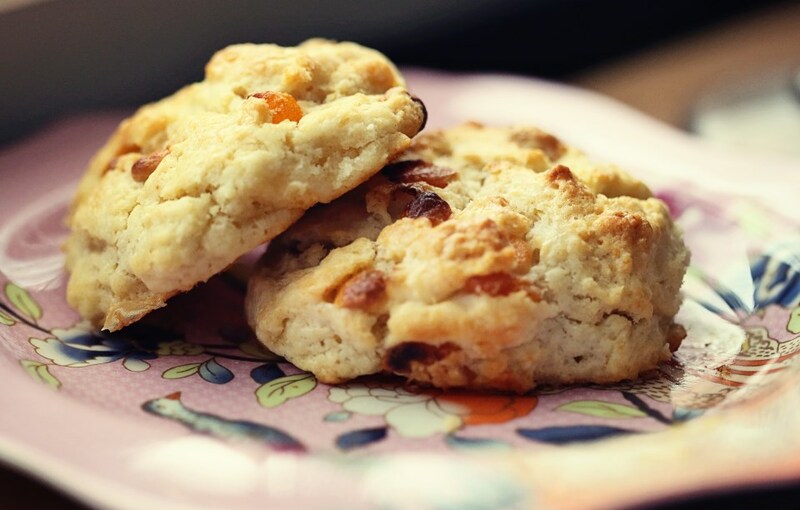 Today I’m sharing with you one of my favorite flavor combinations: apricot and white chocolate. However, anything you want to add will work. I’ve done cheddar and chives for a savory version, a simple version with just currents and then just plain for the most amazing biscuits! This recipe comes from The Best New Recipe cookbook and so you know the recipes have been endlessly tested and work. 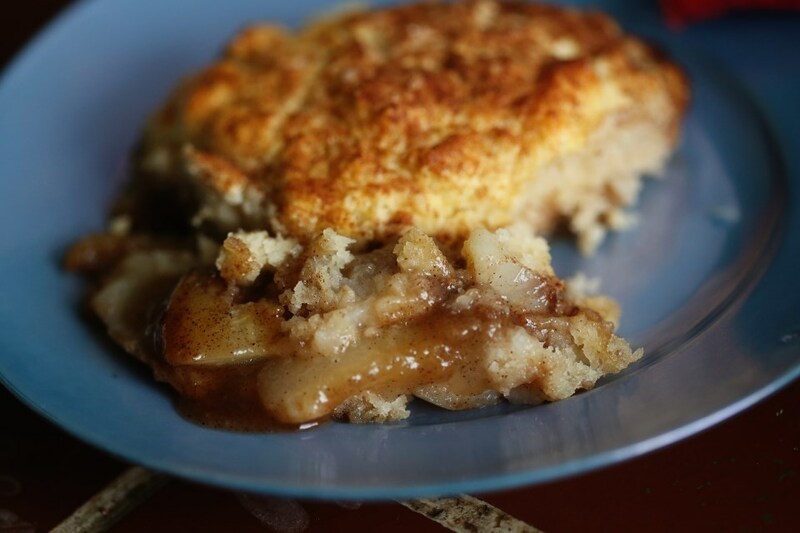 I loved this recipe because I had it memorized the first time I did it. Four ingredients. Doesn’t get easier than that. 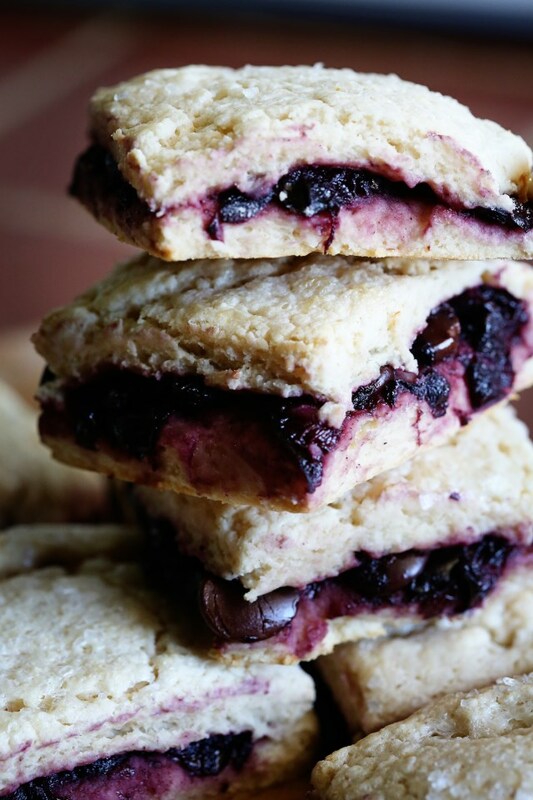 No cutting in butter – these scones/biscuits/whatever you want to call them have just heavy cream! I even skip the patting out and cutting into triangle method that Best New calls for and make it even easier by just making these drop-style. I hope you add this to your arsenal of recipes to whip out when company arrives or a friend drops by for coffee (that still happens in my head, although not so much in reality). My white chocolate chips got kind of torched, but no scone was left behind. Preheat the oven to 425 degrees. Line a baking sheet with parchment or spray with oil. Whisk together the dry ingredients, stir in the white chocolate and apricots and then with a fork, whip in the cream. It gets super sticky and super hard to stir. If it seems too dry, add a splash or two more. I usually add just a bit more. Then, by the spoonful, drop mounds onto your baking sheet about 2 inches apart. 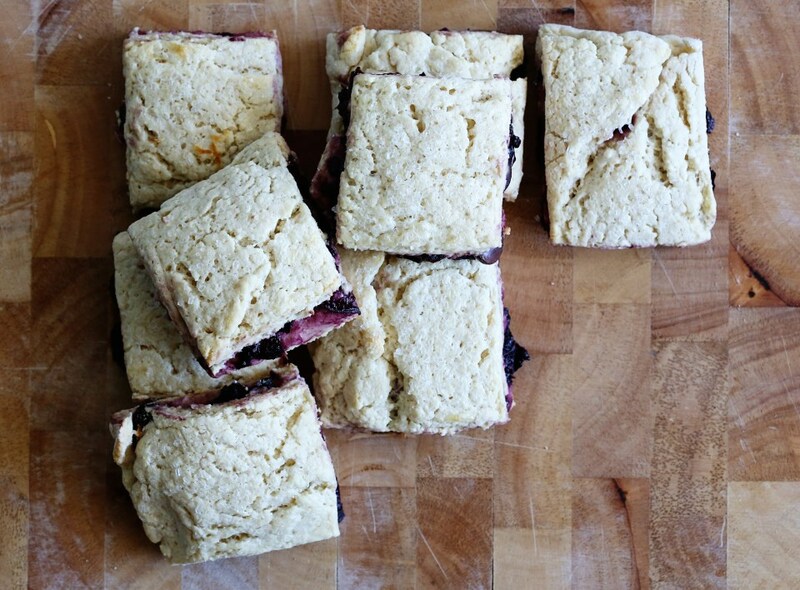 Brush the tops of the scones with more heavy cream and bake 15-20 minutes, until golden brown. Serve immediately with butter. Parks and Recreation was one of our favorite shows of all time. We were sad to see it end a few weeks ago and had to cook something special for the finale. I debated quite a lot about what to cook. I could’ve done a plain hamburger inspired by the episode where Ron and Chris battle it out in a food war. We thought about doing bacon wrapped shrimp served with all the bacon and eggs the store had to offer, but I figured that might be a tad wasteful. And so we settled on waffles, as Leslie Knope would’ve wanted. 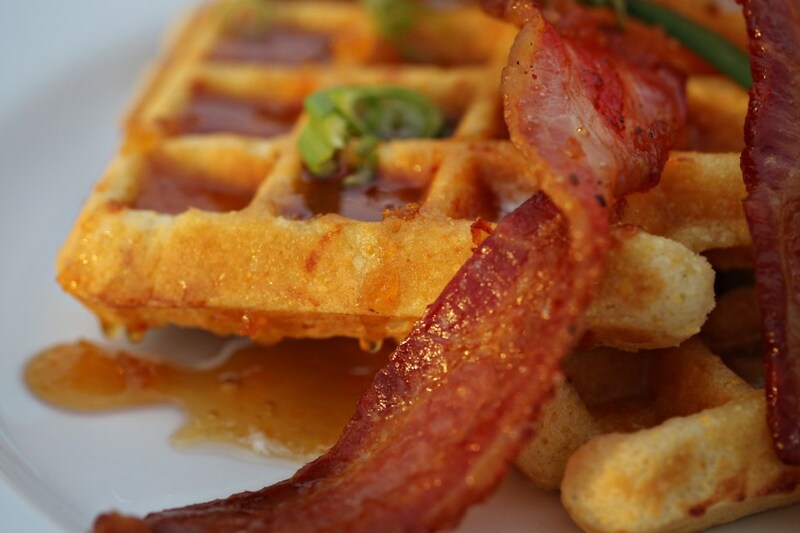 I decided to do a savory waffle with a side of bacon and plenty of melted butter and Mike’s Hot Honey on top. 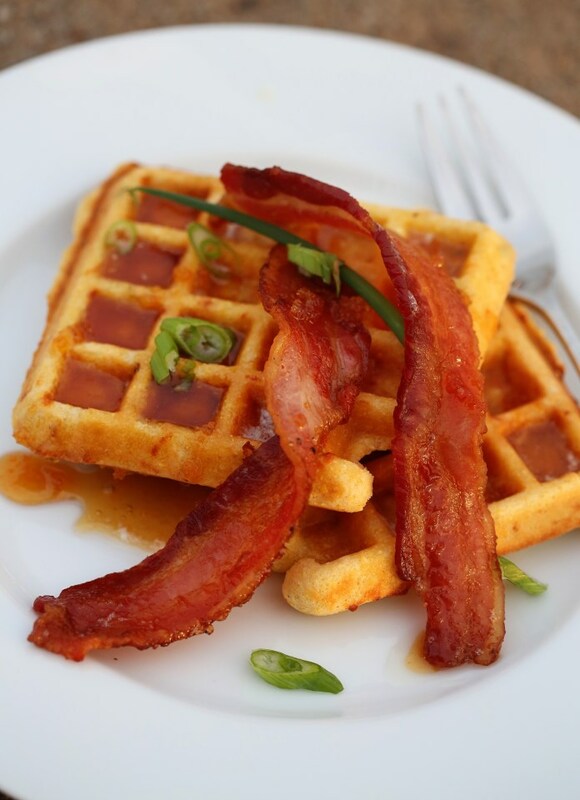 Mike’s makes some amazingly spicy and delicious honey that we love putting on our pizza crusts and it’s really good on so many things like buffalo wings or smoked sausages, but it was especially good on top of this cheesy waffle! 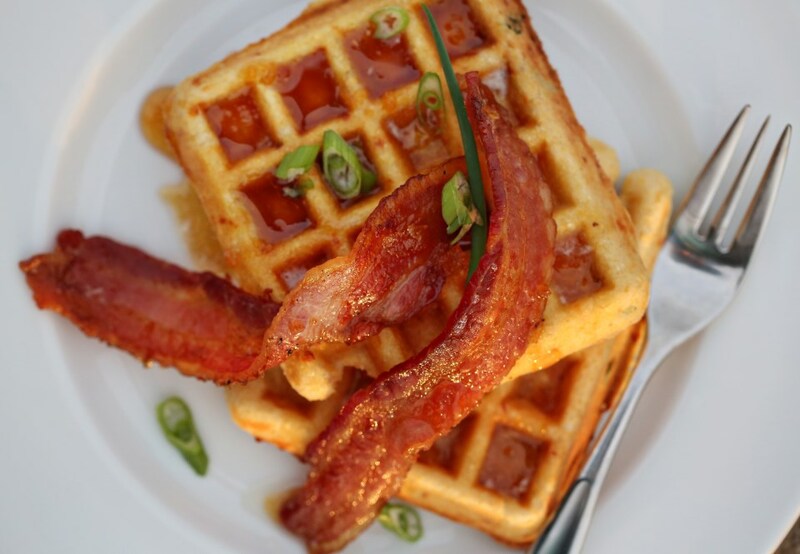 Get your waffle iron heating up. In a large bowl, mix the dry ingredients along with the cheese and scallions. In a separate bowl, whisk the eggs, buttermilk, water and oil until well blended. Add the wet ingredients to the dry and beat with a fork until no dry parts remain. Cook in a waffle iron and keep warm in a 200 degree oven until you’re finished cooking all the waffles. Serve with hot honey, regular syrup, sweet bbq sauce, or anything you can think of. Hey, why not a fried egg on top?! And make sure you have plenty of crispy bacon alongside. Enjoy! Lately, I find myself wandering through the house, doing chores, taking care of the little people and cooking and I think, “I should be doing something more.” And not more in the sense of extra stuff, but more…grand? Important? I am not sure. I haven’t quite been able to put my finger on just what it is I’m feeling. I think I remember this feeling from when Olive was a baby. There’s a certain amount of monotony to taking care of a baby in that first year. Every day it’s the same feedings, the same breakfasts, the same play time, the same nap schedules, the same dinners, the same bedtime routines, etc. It’s all the same thing, every day, for months. And when they get a bit older, you can start shaking up the routine because they don’t have to eat and sleep every 3 hours. But for a few months, there’s a bit of a Groundhog Day effect and I have felt it even more in the winter as we’re cooped up from the cold. Each morning I pray that God will show me what needs to be done in His kingdom. Who needs served? Who needs a kind word or an encouragement? Who needs a meal or maybe even just a smile in the store? I believe, although I don’t follow through with this belief far enough, that seeking God’s kingdom FIRST, really will cause everything else in my life “to be added to me.” I get it so backwards. I become so self-seeking. How can my children or my husband make ME happy today? When I seek God’s way of serving others first, I immediately feel content. Enough. Important. Working for self and for the approval of others is a bottomless well. It will never be filled and neither will I. But flip the equation around and see to it that others’ bowls are filled before my own and God will see to it that my cup is running over. It’s not always going to look like material wealth and health, but more importantly, it will start to look like real joy – from the inside out. 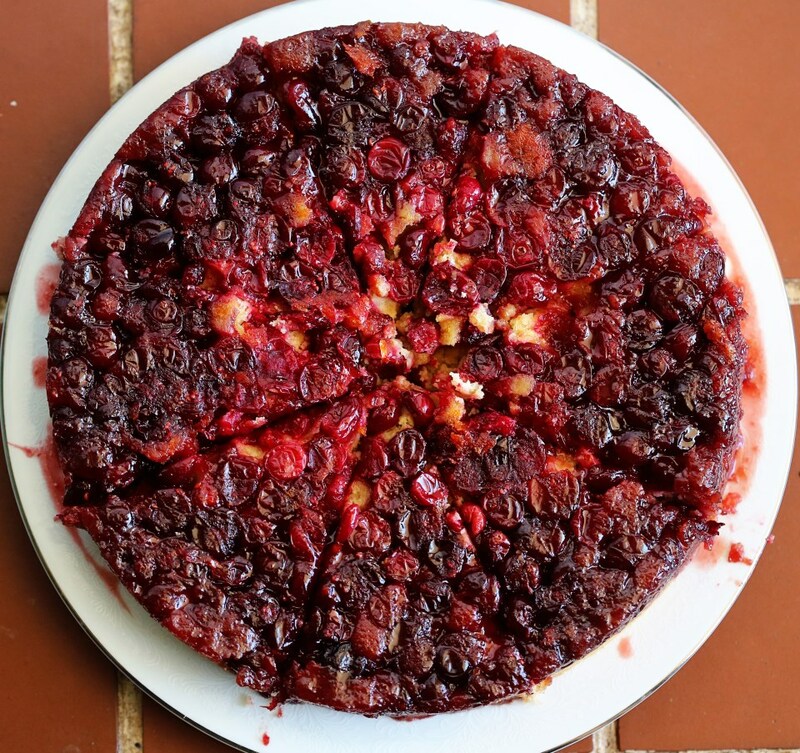 This cranberry cake was made for a few sweet ladies at a ministry our church helps out with from time to time called Family Promise. It’s a program that helps families who find themselves on the brink of homelessness to live and save up their income for rent while they live in the Family Promise house. Our church volunteers to help a couple times a year by bringing dinners, having activities for the children and staying overnight. Last week was our week to serve so Matt and I signed up to take a meal and hang out with the families for a while after we ate. There were two single mothers with infants and one single mother with a sweet, twelve year old girl living there, whom we’d met before and were so happy to see them, again. 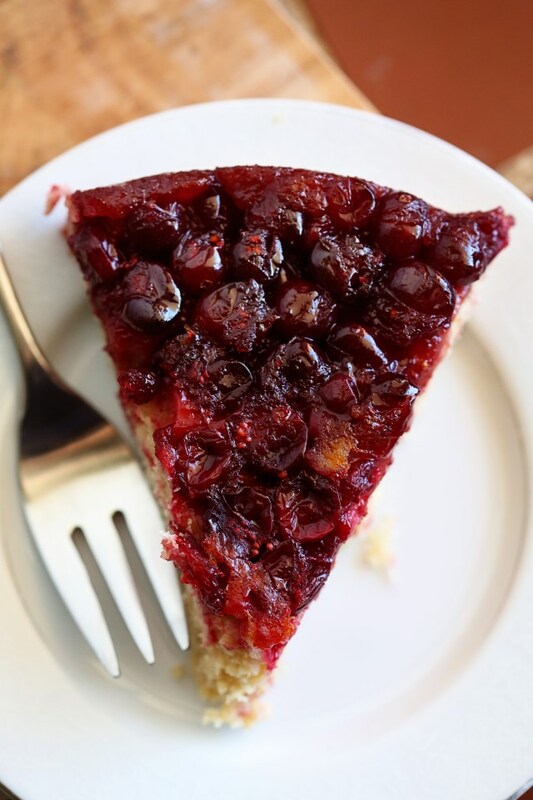 We brought take-out from our favorite Hawaiian BBQ joint (I didn’t get my homemade meal-act together this time) and I brought this cranberry upside down cake. We ate and watched TV together and played and I felt blessed by them. We just brought the food – they brought perspective and showed us real joy – from the inside out. Preheat the oven to 350F. Butter the bottom and sides of a 9 inch round cake pan and line the bottom with parchment paper. I like to do this to ensure all the fruit filling comes off the pan. Pour the cranberries on top of the parchment paper and sprinkle with orange zest. In a medium-size sauce pan, melt the butter over medium-low heat. Add the brown sugar, orange juice and cook, stirring, until the sugar melts and boils gently. Pour the mixture over the cranberries in the pan. In a small bowl, stir together the cake flour, baking powder, and salt. In the bowl of an electric mixer, beat the butter, granulated sugar and brown sugar on medium until well blended. Beat in the eggs and vanilla and almond until combined. With the mixer on low, mix half the dry ingredients into the batter until just combined. Mix in the sour cream and then the remaining dry ingredients until just combined (in other words, don’t over-mix). Scoop the batter into the pan (it will be thick) and then spread it around evenly with a spatula. 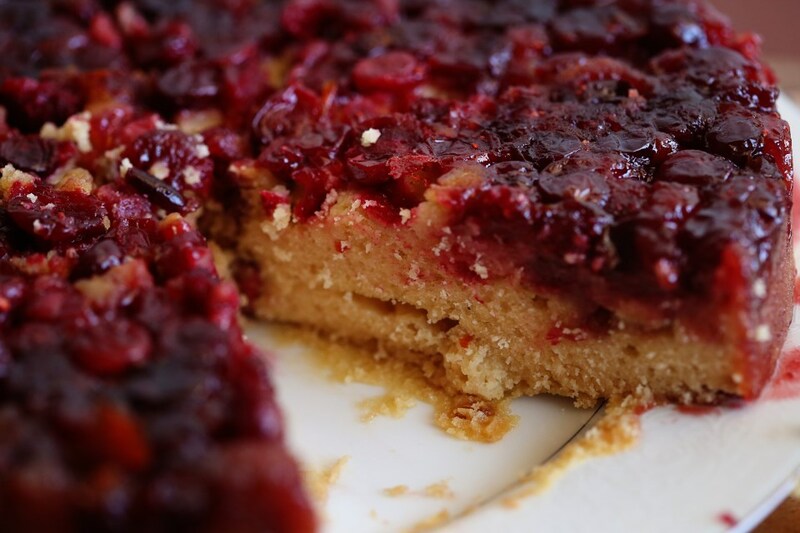 Place cake pan on a rimmed baking sheet to catch drips. Bake until a toothpick inserted in the center comes out clean, about 40 minutes. Place the pan on a wire rack to cool for 10 minutes. 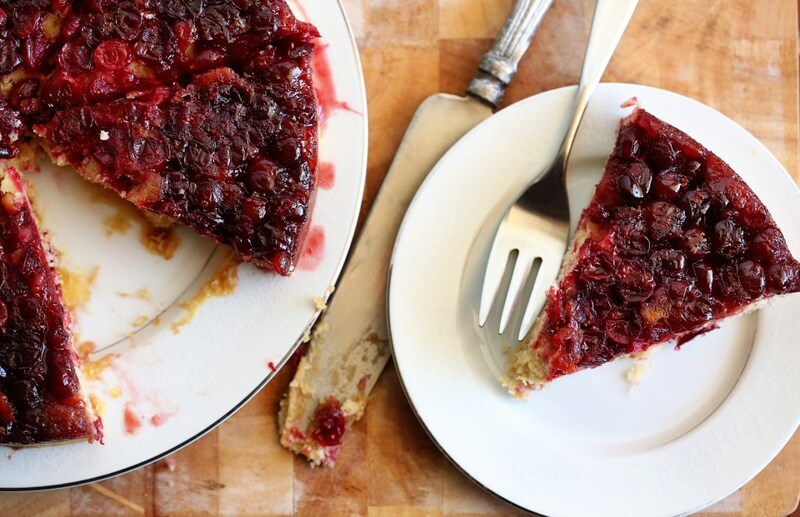 Run a knife around the edges of the pan to loosen the cake and invert onto a serving plate. Serve warm. Happy New Year’s Eve! It is a frigid 20 degrees today with a windchill of about -5 and this morning as I got reluctantly out of my bed, I looked out the frosted window and saw gray. Just gray with bits of white flocking everything in sight. I thought of what I would make for breakfast for the redhead and for Matt, who was working from home due to the weather, and I wanted something warm and cozy with possibly a bit of cinnamon. We had pears getting way too ripe on the counter and lest I waste such beautiful fruit, I decided to do a spin on Joy the Baker’s apple pie biscuits. 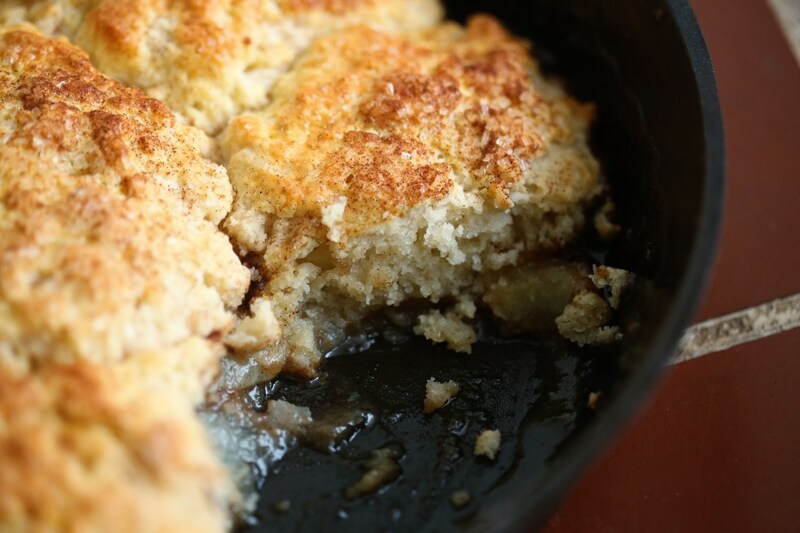 The apples for her recipe are obviously not mushy pear consistency and so they cut up and bake into biscuits nicely. I knew that wouldn’t be possible with pears and I’d just end up frustrated, so I decided to do a free form biscuit/pie/tart mashup and the results were amazing. I adapted her biscuit recipe to include creme and lemon juice instead of buttermilk and the result was cakey, tangy perfection on top of caramlized pears. I highly recommend this dish. In the super old, awesome, vintage skillet your husband got you for Christmas, melt the butter and brown sugar and salt together until bubbly. Fold in the pears until they’re all coated and set aside. Preheat your oven to 425F. In a large bowl, cut the butter into the flour and sugar until it’s all well incorporated. You can use your hands to break up the butter into tiny pieces in the flour, or just use a pastry cutter. Either way, make sure it resembles tiny pea-sized crumbles. Stir the lemon juice into the heavy cream and pour into the flour. Stir up until it’s all moistened and then add the milk until a sticky dough forms. You may need more milk. 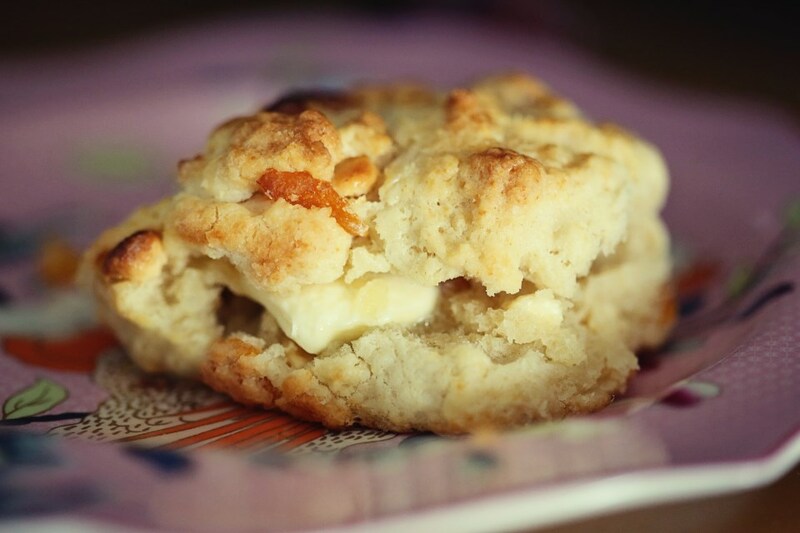 Loosely form biscuits and layer on top of the pears. Brush with a beaten egg and sprinkle with coarse sugar. Bake for 25-30 minutes until the biscuits are golden brown. Coffee cake has always seemed a bit boring to me. 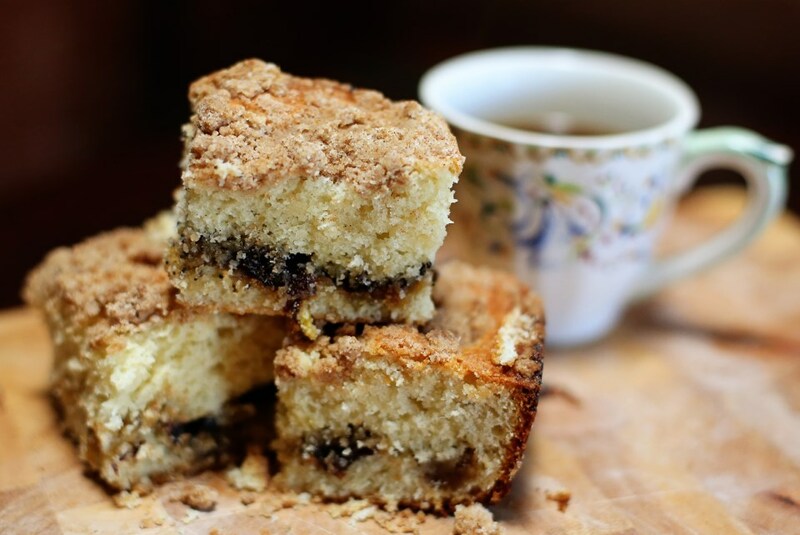 In a land filled with pies and cookies and brownies, why would you ever choose a coffee cake? It’s cake’s slightly dry cousin. 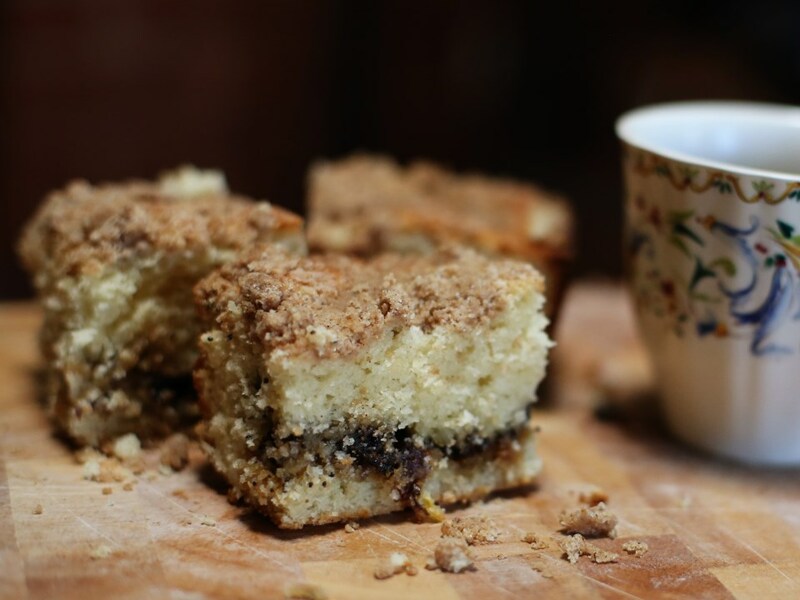 I never see a coffee cake recipe and think, “Yeah, I’ll spend time making that” when I could be spending time making something more satisfying. That was all until I saw this recipe from Tasting Table. Do you get the Tasting Table emails? If not, you should. So many great recipes and interesting gift ideas abound in every email. This coffee cake looked absolutely decadent (it should – there’s almost three cups of sugar – ack!) But I figured in the name of Thanksgiving indulgence and postpartum cravings, I’d dive in and try it. And I dadgum near ate the entire pan myself. Not my proudest moment, but it was pretty enjoyable. 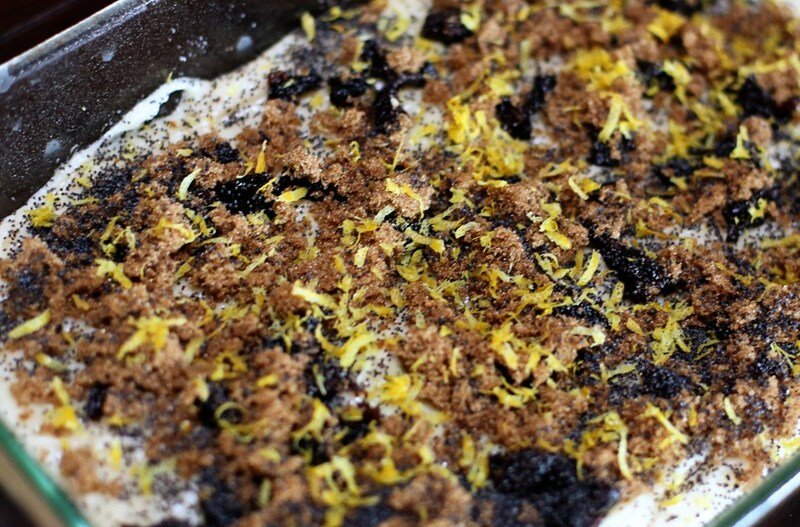 The filling reminded me of fig newtons and the lemon zest brightened the entire sugar-laden thing up. I’d definitely recommend making this when you have family in your house over Christmas. It makes a ton, it feeds and satisfies a lot (or one person over the course of a week) and it is super comforting. Enjoy! 1. Make the streusel: In a medium bowl, whisk the flour, sugar, light brown sugar, ginger and cinnamon until everything is well incorporated. Add the melted butter to the flour-spice mixture and mix with a fork or a wooden spoon until fully incorporated and clumps begin to form. Make ahead: Unbaked streusel can be stored in an airtight container in the freezer for up to a month. 2. Make the cake: Preheat the oven to 350°. Grease a 13- x 9-inch baking pan with the softened butter and dust the pan with flour. 3. In a large bowl, whisk together the flour, sugar, baking powder, salt and baking soda. 4. In a separate large bowl, whisk together the buttermilk, eggs, sour cream, vanilla extract and melted butter until very smooth. 5. Using a rubber spatula, mix the dry ingredients into the wet ingredients until well combined. 7. Sprinkle the prunes evenly over the batter then sprinkle with the dark brown sugar and the poppy seeds. Top the filling with the lemon zest. 8. Layer the remaining batter over the filling using the same method mentioned above. Smooth out the top of the batter, ensuring it is even and reaches the edges of the pan. Sprinkle the top with the streusel, and then bake until a toothpick inserted in the center of the cake comes out clean, about 45 to 55 minutes. I had to bake it over an hour to get the middle done. I recommend rotating it halfway through baking!